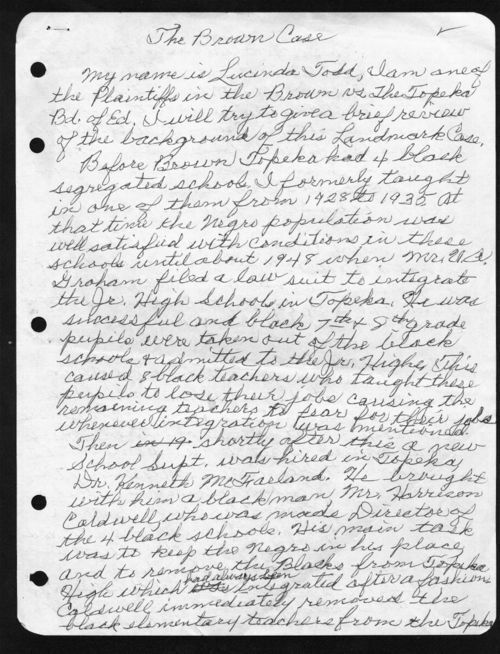 A handwritten draft by Lucinda Todd, on the case of Brown vs. The Board of Education. This case led to a landmark ruling by the United States Supreme Court that ended school segregation.